Sinsuran Complex is a bustling commercial area in Kota Kinabalu. Kedai Kopi Kim Hing Lee (金兴利茶室) is a popular eatery here. 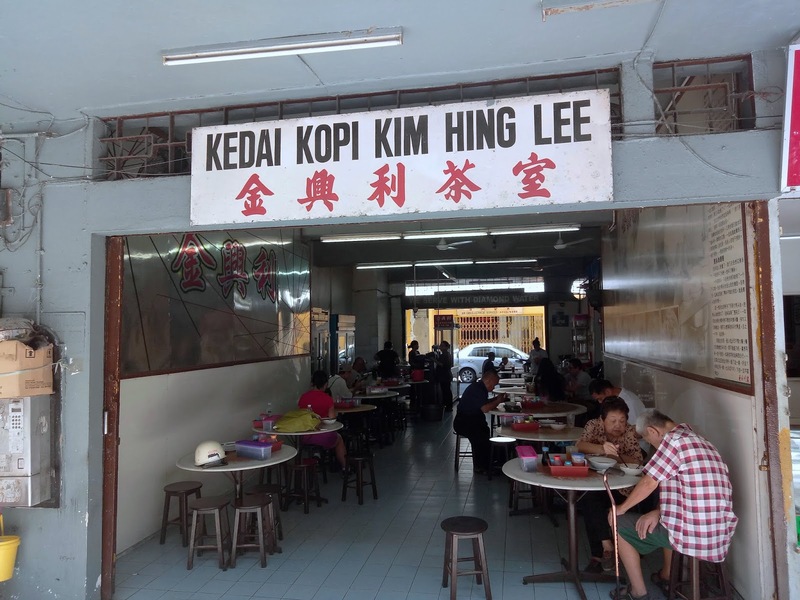 Operating since the 1980s, the kopitiam claims to be the pioneer of pork noodle (生肉面) in town. 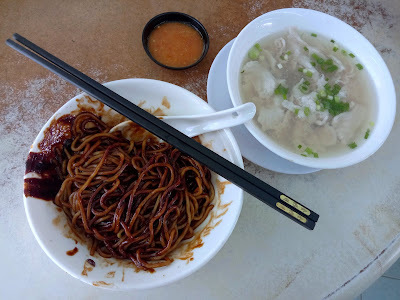 Pork Noodle (生肉粉, RM8.00) can be served dry (干捞) or with soup. I opted for the former as it is more popular among locals. Soy sauce and shallot oil (葱头油) make the noodle quite appetizing. 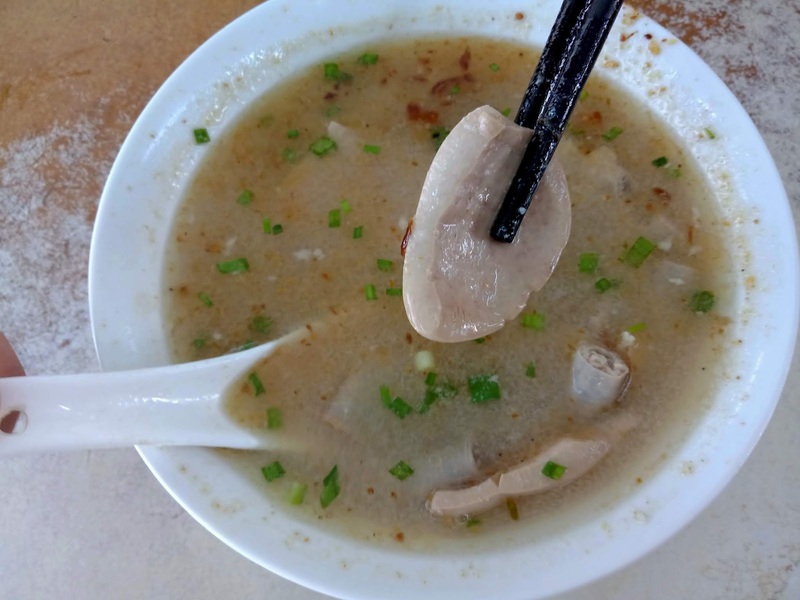 The dish also comes with a bowl of soup that is loaded with succulent pork slices. Meanwhile the Pig's Organ Soup (猪什汤, RM14.00) contains pork liver, intestines and kidney. If you are fond of pork offal, you will certainly fall in love with this dish. By the way, the soup is boiled using charcoal; no wonder it is piping hot!